Established in 1964, the International Trade Centre (ITC) is the joint agency of the World Trade Organization and the United Nations. The ITC is dedicated to supporting the internationalization of small and medium-sized enterprises (SMEs) in developing and transition economies.It enables such enterprises to become more competitive and connect to international markets for trade and investment, thus raising incomes and creating job opportunities, especially for women, young people, and poor communities. GEPA’s relationship with ITC began in the1970’s already. Many activities and support programmes have been carried out ever since. A number of trade facilitation programmes currently undertaken by GEPA were initiated as a result of technical support from the ITC. In the last couple of years GEPA and ITC have collaborated to organise programmes to provide information and build the capacity of the export community in many areas. These include training on usage of ITC’s Market Analysis Tools. Joint programme: ACCESS! For Women in International Trade. CBI contributes to sustainable and inclusive economic development in Ghana and other developing countries through the expansion of their exports to Europe. It is part of the Netherlands Enterprise Agency and is funded by the Netherlands Ministry of Foreign Affairs. Making available CBI’s market intelligence database [internal hyperlink to CBI MI affiliate] to GEPA’s stakeholders. Strengthening GEPA through organizational development and optimization of its service delivery to exporters. 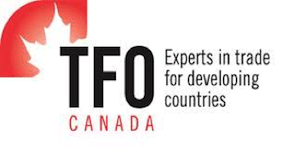 GEPA and TFO Canada signed a Memorandum of Understanding in September 2014. The objective is to build capacity of GEPA to understand the Canadian market in order for her to help Small and Medium sized exporters in Ghana access the Canada market. Two Seminars were conducted on Exporting to Canada in Accra and Takoradi in June 2014. Two GEPA staff participated in a-five day Market Study programme in Canada. A Seminar was held on Exporting Processed Cocoa to Canada during March 2017. 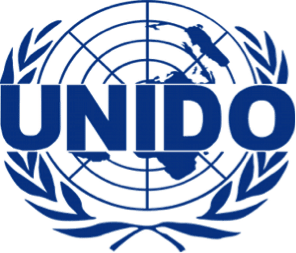 UNIDO has supported GEPA with several projects, including a Salt Strategy Document, Traceability capacity building and last but not least the development of a sustainable Market Hub. Furthermore, the Market Hub aims to promote Ghanaian exportable offer and exporters to interested foreign buyers through sector profiles and an exporter directory.  PUM Netherlands senior experts is a non-profit organisation, which has been advising businesses in developing countries and emerging markets for almost 40 years. To this end, PUM links these businesses, at their own request, to Dutch professionals who voluntarily devote their considerable experience to creating a better world. PUM therefore promotes entrepreneurship, self-sufficiency and the sustainable development of small and medium-sized enterprise locally. GEPA and PUM have signed a Memorandum of Understanding early 2017 stipulating several areas of joint programmes and support projects. 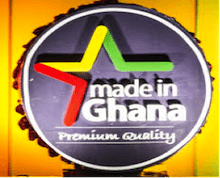 The Ministry of Trade and Industry has overall responsibility for the formulation, implementation and monitoring of Ghana’s internal and external trade. It ensures that Ghana derives maximum benefit from internal trade relations and that domestic trade is conducted in a smooth and orderly manner. The Ghana Exim Bank is an amalgamation of the Export Finance Company Limited (EFCL), Eximguaranty Company Limited (ECL) and the Export Development and Agricultural Investment Fund (EDAIF). 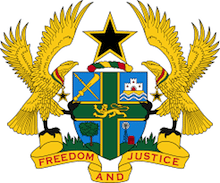 The Ghana Free Zones Board (GFZB) enables the establishment of free zones in Ghana for the promotion of economic development and to provide for the regulation of activities In free zones and for related purposes. The Ghana Investment Promotion Centre (GIPC) is a government agency which encourages, promotes and facilitates investments in all sectors of the economy except mining and petroleum. The Ministry of Foreign Affairs was established in 1957 and is responsible for the initiation, formulation, co-ordination and management of Ghana’s Foreign Policy. Ghana currently maintains fifty-five (55) Embassies, High Commissions and Consulates-General. To complement the work of the Missions, fifty-nine (59) Honorary Consulates have also been established. Several of the Missions are also concurrently accredited to countries where Ghana does not have resident diplomatic presence. The Association of Ghana Industries (AGI) is a voluntary business association of over 1200 members. It is made up of small, medium and large scale manufacturing and services industries in agro-processing (food and beverages), agri-business, pharmaceuticals, electronics and electrical, telecommunications, information technology, utilities, service industries, transport, construction, textiles, garments and leather, banking and advertising. The TIDD provides specialized services in promoting efficiency in product quality assurance and value-addition in the Timber Industry and Trade consistent with best environmental practices. 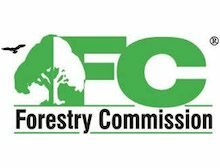 It has had various divisions responsible for export promotion and market information dissemination as well as contract verification, timber and wood products inspection, approvals, training of graders and issuance of export permits. The Ministry of Food and Agriculture (MOFA) is the lead agency and focal point of the Government of Ghana, responsible for developing and executing policies and strategies for the agriculture sector. It promotes sustainable agriculture and thriving agribusiness through research and technology development, effective extension and other support services to farmers, processors and traders for improved livelihood. 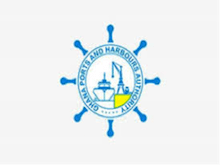 The Ghana Ports and Harbours Authority (GPHA) is a statutory, state-owned enterprise which currently owns, manages and operates the two seaports of Tema and Takoradi.About 90 per cent of Ghana’s foreign trade is shipped through the ports. As part of the Ghana Ports Reform Project, about 90 per cent of the cargo handling operations in the two ports has been transferred to the private sector. To Initiate programmes aimed at controlling pests and diseases of cocoa, coffee and sheanut. 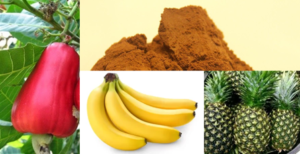 Also it encourages processing of cocoa, coffee, sheanut and cocoa waste and it undertakes research as well. 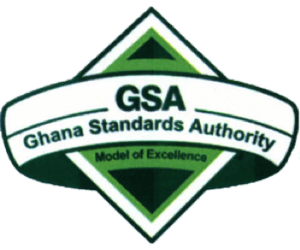 Ghana Standards Authority is an Agency of Government of Ghana that promulgate Standards, promotes Standardization and undertakes Conformity Assessment activities in the country. 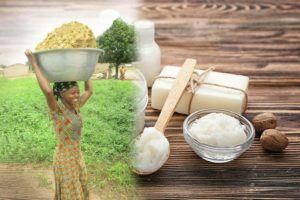 These activities ensures that products or goods and services produced in Ghana, whether for local consumption or for export are safe, reliable and are of good quality.